So, what happens to mean girls ? Bullying is not just child’s play. For many in senior residences, communities and social groups, bullying may be an even bigger problem for our aging parents than it is for our kids. 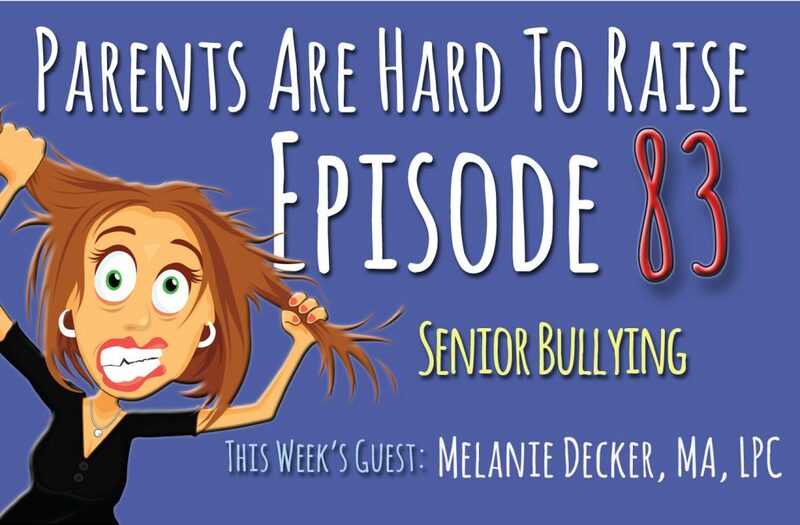 This week on Parents Are Hard To Raise, Licensed Professional Counselor, Melanie Decker, talks frankly about the problem and what can be done about it. [00:00:00] The world’s becoming a dangerous place for us women. Lipstick bodyguard looks just like an innocent little lipstick. But it will instantly drop any attacker to his knees so you can get away unharmed. Lipstick bodyguard fear no evil. Get yours today only at lipstick bodyguard dot com. Announcer: [00:00:26] Bullying is not just child’s play. For many in senior residences, communities and social groups, bullying may be an even bigger problem for our aging parents than it is for our kids. 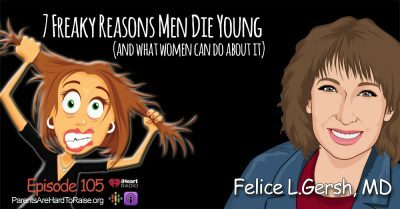 This week on Parents Are Hard To Raise, Melanie Decker, Licensed Professional Counselor, talks frankly about the problem and what can be done about it. Diane: [00:01:19] Welcome to Parents Are Hard To Raise. Helping families grow older together without losing their minds. 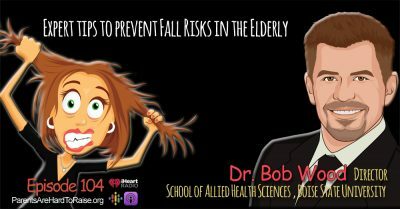 I’m elder care expert. Diane Berardi. [00:01:28] I remember back in Junior High… there was always a clique of girls who seemed to just love excluding others— spreading gossip or shouting insults at those of us who weren’t “cool” enough to join their little group at the lunch table. So, what happens to mean girls? Some of them grow up to become mean old ladies. I guess we shouldn’t be surprised at that. People are people, regardless of how old they are. I’d like to think that the “mean girls” might have learned something in seven or so decades of life since Junior High, but according to my guest this week, that’s not necessarily the case. 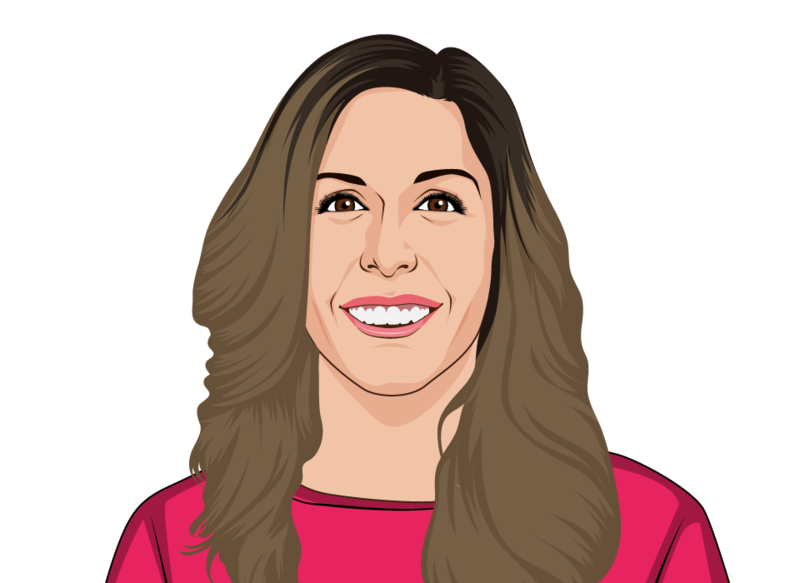 Melanie Decker is a Licensed Professional Counselor and Director of Senior Services for the Township of Howell, New Jersey. 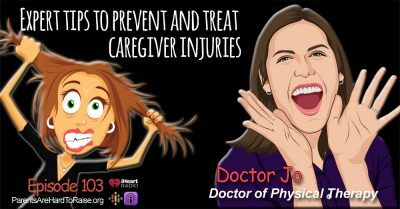 She’s had many years of experience working with the senior population and has had to deal with the issue of senior bullying from a number of different perspectives. Melanie Decker, Welcome to Parents Are Hard To Raise. Melanie Decker: [00:02:35] Thanks Diane. Thank you for having me. Diane: [00:02:37] I just want to say I’m so impressed with what you’re doing here. I emailed Melanie. I wanted to see a senior citizen center. I emailed her and she said, Sure come on over. We came over, my producer and I, and we were just so impressed. The members were… There were so many members in the group and they were all having coffee and cake and they were so alive and engaged. And the programs you have here. So we’re going to come back and do a live show next week. [00:03:11] But today we’re going to talk about an issue that we once thought was exclusive to the young. So could you tell us what these senior bullying? Melanie Decker: [00:03:22] So senior bullying is… It’s not really different from bullying that we hear about with the younger generation with children with adolescents. The difference is, you know parents teach their children not to bully. Well we hope they do… Not to exclude others. Educators, lawmakers are involved. They’re trying to instill these concepts of inclusion, acceptance, kindness towards others. But who’s teaching the seniors? [00:03:50] So bullying is defined as an intentional and repetitive aggressive behavior. It involves an imbalance of power and strength. With the older population. It’s often non-physical types of aggression, not to say that it can’t be, but its goal is to impede the development of seniors making social connections and relationships with others. And that’s so important as we get older. Melanie Decker: [00:04:13] People are passing away. People are moving away. You don’t always have those opportunities to make friendships. So having no social connections and having thosetaken away from you is certainly going to have a major effect on you. 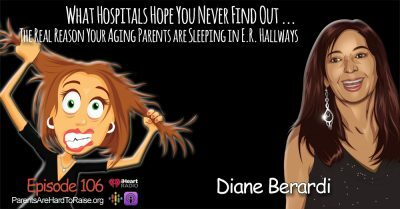 Diane: [00:04:27] And you know,people… We wonder are seniors to come to centers. Diane: [00:04:33] Or engage with other people. So, what settings? Like could this take place anywhere there are two people? [00:04:40] It honestly… It takes place more than people realize. It’s going to take place in any location that seniors live or they congregate. I know for myself if I go to a coffee shop, a lot of times they’re seniors that congregate there. At different fast food restaurants. You know you’re going to have groups of seniors there. Assisted living facilities are a big place. Nursing homes. Senior apartment complexes. Places like senior centers, adult active adult communities where the younger group of seniors and even senior bus services. Yes. Snowbird communities, where you have people that live there all year round but then you have your Snowbirds. Melanie Decker: [00:05:24] So that’s another location. “Well this person only comes for part of the year. We live here all year round”… So it could be a number of different places. Diane: [00:05:34] I know it’s… it just sounds silly. So is it… Are women more prone or men, or both? Melanie Decker: [00:05:46] Yes. In Our experience, and I just want to preface this because some of it’s going to sound like, oh my gosh I don’t want to go to a senior center. These seniors are nasty. I would tell you I have a handful. We have well over 100 people that come here every day. OK. And I would say it’s a handful of of members that do and that’s it. And from our experience yes it’s females. It is females. [00:06:11] My men might… I don’t have to talk to them about it. I have never pulled one aside to say, hey you’re excluding someone. This isn’t. This is inappropriate. [00:06:24] It is definitely the females and they’re mean. [laughing] I mean I you know they’re mean to each other and it takes a lot to come out to a senior center in any place. When you’re home and all you’re doing… This is what I say to people they get very nervous to come in and I say, What are you doing at home? Just sitting, watching TV. Are you bored? Yes. Are you lonely? Yes. How’s it working for you? It’s not. I say, What do you have? You’re going to lose one day if you come here and you don’t like it. So imagine working that courage up to come, and now your bullied. You don’t feel accepted. It makes… it Just makes you feel horrible. Diane: [00:07:06] Oh sure. Yeah. So what types of behavior would you say? Melanie Decker: [00:07:15] So… There’s a lot. Just to say there is a difference with the, that we see. I have young children, so senior bullying versus children and adolescents. And like I said a lot of times with the seniors it doesn’t revolve around physical force. A major difference is that with children and bullying that extends past the school time hours. It goes into the texting. It goes into the cyber-bullying. The Instagram. The Facebook. Things like that. So we can go on after hours and longer times that parents aren’t always aware of. [00:07:52] With the seniors, that doesn’t happen. Seniors do have Facebook. And what seniors are doing with Facebook is looking at pictures of their grandchildren, communicating with their grandchildren, they’re not bullying. So the technology component with that generation of seniors today, that hasn’t happened. [00:08:10] Right. Who knows in the next several years it that could be it. So some of the some of the things that we’re seeing are seat saving. So we used to call it just a seat saving issue. But now we’re realizing that is a major form of bullying here at the senior center. [00:08:34] Pretty napkins. Sounds… What are you talking about, pretty napkins? Sounds innocent. [00:08:40] So people bring in napkins. If you receive one of those napkins, you’re part of the group. If you don’t receive a napkin, you’re not part of the group and you know, I’m not welcomed here. [00:08:54] We have members that refused to talk with newcomers. They will leave people out of a card game. They will leave them out of a board game, purposely. [00:09:04] Making comments… We play bingo on Mondays. Bingo Is a very serious matter. [laughing] Very serious. [00:09:12] And when somebody new comes, if they are not familiar with the entire game of Bingo or what we’re going to play, four corners or whatever the specific game is or they’re a little slower. People will make comments… The veteran Bingo player, they will make comments about, “how does this person not know how to play bingo?” They will make comments about their intelligence. Get others to believe that they’re slowing the game down. [00:09:39] The bus rides. If someone’s not coming out of their house quick enough they’ll tell the driver, “leave, they’re not here.” Because they want to get to the senior center. They want to get to their seats. And they’re not assigned seat. [00:09:58] “I sit there on Monday and Wednesday you sit there on Tuesday and Thursday. Fridays we’re both here. Whose seat is it? Diane: [00:10:02] [laughing] Oh gosh. yeah. Melanie Decker: [00:10:04] So, when you’re new it’s a problem. [00:10:10] Kicking people out of the seats on buses. Trying to cut the line, to be first on the bus. We have a buffet of food or donations that come in… Cutting in front of people to get there first. Using the cane. Things like that. Diane: [00:10:26] Oh my gosh… Things You don’t imagine. Melanie Decker: [00:10:28] Things that. Yes. that you don’t. Diane: [00:10:31] Oh my gosh. We’re going to continue talking to Melanie Decker, director senior services for the township of Howell, New Jersey. But first, I want to tell you something. If you’re a woman or there’s a woman in your life there’s something you absolutely need to know. [00:10:48] I Want to tell you about my friend Katie. Katie is a nurse and she was attacked on her way home from work. She was totally taken by surprise. And although Katie is only 5 feet tall and 106 pounds she was easily able to drop her 6 foot 4, 250-pound attacker to his knees and get away unharmed. Announcer: [00:12:50] You’re listening to Parents Are Hard To Raise, Now. Thanks to you. The number one Eldercare talk show on Planet Earth. 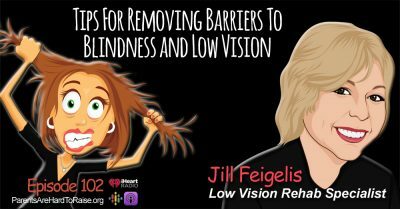 [00:12:58] Listen to this and other episodes on demand using the iHeart Radio app. iPhone users can listen on Apple Podcasts and Android users on Google Podcasts. Diane: [00:13:07] There are so many new ways to listen to our show, I can’t even keep track. Spotify. Roku. You can listen on your smartphone with Apple podcasts and Google podcasts. You can get us an Apple TV, DirecTV. You can even just ask Alexa to play the show for you. [00:13:29] If you’re listening to the show on one of these new ways please do me a big favor. Help someone else learn about the show and show them how to listen. And I know some of your listeners are doing just that so I want to give you a shout out. [00:13:42] Carla from Shawnee Mission, Kansas who listens on Amazon Echo while she’s making dinner, and she showed her book club friends how to do the same. And Katrine from Reykjavik, Iceland who listens on Spotify and showed her colleagues at Lance Batalla university hospital how to do the same. [00:14:01] I know my I know my engineers are… There laughing. They’re giving me the hardest things to pronounce. Because, Melanie, I kind of sometimes mess up names. Melanie Decker: [00:14:12] You’re in good company. [00:14:12] So they’re testing me [laughing] [00:14:17] I hope I pronounced those correctly. 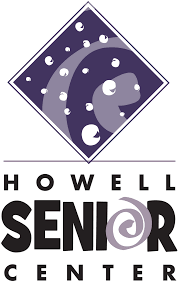 So we are here at Howell senior services for the township of Howell and we’re talking to the director Melanie Decker and we’re talking about senior bullying. [00:14:30] Melanie what types of behavior characterize senior bullying? Melanie Decker: [00:14:35] So, one of the things that I’ve been doing is obviously a lot of research, going online, getting articles and educating myself, educating my staff. And one of the best books so far that I have read is called, Bullying Among Older Adults. And who wrote it as an author named Robin I don’t know if I’m pronouncing her name right. Bonifas. She’s a social worker at Arizona State University and she has done a ton of research on this subject. So you know reading her stuff has been extremely informative. And reading her book she was saying that there are three types of bullying among seniors. [00:15:18] The first one is verbal which we certainly see it can include gossiping insults name calling things like just making threats or taunting people and we have a lot of different cultures here. So sometimes people aren’t speaking English. I mean we’ve had ESL classes also for seniors. Diane: [00:15:38] Oh, that’s great. [00:15:38] Yes. To help with things. But there will be name calling over that. There will be taunting over things like that. [00:15:46] Another thing is just antisocial or relational bullying, where people are being excluded they’re being shunned they’re being mimicked. [00:15:56] Preventing others from passing or getting onto the elevator. [00:16:00] So we’re not seeing that, the preventing of getting on the elevator or mimicking others, but we are seeing not excluding. Melanie Decker: [00:16:09] However talking with some of my members, a big group of them do live in senior communities or in senior communities that are apartment complexes. So they’re getting those type of behaviors there and they’re talking about those with us. [00:16:25] And then there’s the physical bullying and that’s going to include where they can hit with their with their hand with a mobility aid. You have your scooter… Driving into someone. Something that. Purposely. [00:16:41] Stealing or destruction of personal belongings. Again for a senior, if they’re going outside, they can in some of these communities, have little gardens. Melanie Decker: [00:16:51] Someone comes in and they destroy the garden. And this is something that you’re putting your heart into, it’s a hobby of yours. Look at how beautiful it looks. Doing something like that. If you have a little dog, somebody getting their dog hit with a cane. So not something that we’re seeing, but something is certainly going on at some of the senior communities. [00:17:16] It’s nothing that’s different than with children and adolescents. It’s just the types of things that are going on. The specifics are a little bit more different. [00:17:45] Yes. And for the seniors that are experiencing this, that are the targets of bullying… Sometimes they don’t even know. They don’t have that label of, “I’m being bullied.”. Melanie Decker: [00:17:58] So it’s not something that they’re going to talk to their children about sometimes, because they just don’t know how to explain it. So it’s helpful if administrators know about it. It’s helpful the children know about it, so that if they see a change in their mom or dad’s or aunt or uncle’s behavior since moving in, they can’t just chalk it up to “it’s just an adjustment.”. Melanie Decker: [00:18:22] When they see somebody is in their room more and not coming out. And it used to be someone who was social. And now they’re not. So education. Melanie Decker: [00:18:33] For everyone is definitely going to be key. Diane: [00:18:36] Yeah definitely. You know, it breaks your heart. Melanie Decker: [00:18:41] It does. Diane: [00:18:42] It breaks your heart when you have children. It’s the same thing. You just them think about it. Melanie Decker: [00:18:47] And like I said, these are very simple things… playing bingo or a bus ride. Diane: [00:18:53] Saving a seat. Melanie Decker: [00:18:54] Yes. Saving a seat. [00:18:56] I have three drivers here. Melanie Decker: [00:18:58] So my members that that we transport here, if they say,”Esther isn’t coming out. Let’s go,” my drivers aren’t going to go. However we do have a county bus and that is not one of my drivers and we don’t always know who the driver is going to be. Sure. So they will purposely say, “let’s go. They’re not coming out.” And that is a form of bullying, a form of power a form of control, that they’re having. Because again they want to get here. Diane: [00:19:32] Oh my gosh. [00:19:32] Yes. And sometimes those drivers listen, sometimes they don’t. Diane: [00:19:36] Right. So Everybody really has to be educated. Diane: [00:19:43] So are there ways to prevent senior bullying? Melanie Decker: [00:19:48] There definitely is some ways to prevent it. You know seniors are the fastest growing population across the nation. So with that being said, obviously the issue is going to persist. It’s going to be more widespread. You have more Seniors Aging in Place which means they’re not going to an assisted living or a nursing home. They’re aging at home, but they’re still coming into senior centers. So it’s it’s going to happen at some point. It’s not a new topic. I guess it is a new topic but it’s not a new phenomenon. [00:20:22] It just now has the name senior bullying. This seat saving issue. It’s been going on at at the Howell senior center and probably most others here 20 years plus. We just didn’t realize how big an issue was how detrimental it could be to someone self-esteem, to their health, to their happiness. [00:20:45] I don’t know if you’re familiar with Abraham Maslow. Melanie Decker: [00:20:48] OK. And his hierarchy of needs. So for those of you listening there are five needs. He created this theory in 1943 and the first need is physiological. After we achieve that we move onto the second need. [00:21:04] So we have the second third and fourth their safety, love and belonging and self-esteem. [00:21:09] And it’s interesting to me because we’re in 2018. He created this in 1943. Melanie Decker: [00:21:15] I am sure he didn’t think it would still be relevant to this time . Diane: [00:21:21] Yeah. It’s Amazing. Melanie Decker: [00:21:22] And bullying still relates to three of these five topics. The causes of what or what bullying causes is going to relate to your feeling of safety. You know if you feel threatened. If you don’t feel accepted you have the love and belonging. Your confidence, when someone is calling you names. No matter what age it’s going to be detrimental to your self-esteem. [00:21:52] So we also hear about increases with suicide and that’s among all population, it’s among all age groups. We actually are going to be doing a lecture on suicide. Diane: [00:22:05] You are? Oh. Melanie Decker: [00:22:05] We are. I don’t know if we’re getting it in this year or if it’s going to be in January of next year. But because seniors are dealing with it as well. And that a lot of times it has to do with bullying for the younger generation with suicide. Melanie Decker: [00:22:22] There’s no telling if that’s going to be an issue for the older generation. So the love, the belonging, the self-esteem, feelings of safety not being met. It’s all you know intertwined. [00:22:37] And people could feel you know earlier times in their life secure. But life changes. You move people pass away. You retire. So just because you used to you had all these needs met doesn’t mean you currently do. [00:22:59] From me here at the senior center I definitely think being present with the members. Taking a stance against it. Realizing it’s going on. Making it known it’s not going to be tollerated. And Working hard not only to educate yourself but to educate your staff and educate the members and creating an atmosphere and an environment that people are welcome, I think that is key. knowing that they can come here it’s safe. It’s a family environment. We want you here. Melanie Decker: [00:23:30] And just because you didn’t have a good first day or you didn’t you know enjoy the people you were with the first day, we can go somewhere else. We could move to another table. Whatever it is you like. But being a positive leader is going to be vital if you want to enact change in a culture where bullying has taken place. [00:23:53] I even talked to the members about the bystander effect. Diane: [00:23:59] Okay, and Can you explain what that is? [00:24:42] So you know I try and my staff tries. I’m not saying what we do is right. It’s sometimes a guest and test and it may work. Today it may not work tomorrow. You know it may not have worked five years ago. But it doesn’t mean it’s not going to work now. So we are just trying to educate ourselves in different ways to prevent the bullying. And certainly addressing it as soon as possible you know. Melanie Decker: [00:25:30] Fake it till till you make it. [laughing]. Diane: [00:25:30] Yes. That’s right. Exactly. [00:25:33] And this is a wonderful senior center. Melanie Decker: [00:25:37] Thank you. Diane: [00:25:37] And it’s a reflection of you. Melanie Decker: [00:25:40] All of my staff. Diane: [00:25:43] And you do have a wonderful Staff and that is because… You know, I only say, it starts at the top. And the township of Howell is fortunate to have that. [00:25:51] And we can’t wait because we’re going to be coming back and we’re going to be talking to members. Yeah and we’re going to have a great time. So I want our listeners to hear that but I do want them all to be aware of this, because it’s something that has been going on but we just can’t we don’t imagine it, you know, as adults. [00:26:15] So thank you so much for listening. Thank you so much Melanie for being here. Melanie Decker: [00:26:21] Thank you for having me. Diane: [00:26:21] I hope you got something. Oh you’re welcome. And I know our listeners got something out of this episode. I love getting your e-mails and questions so please keep sending them. [00:26:30] You can reach me at Diane at Parents Are Hard to Raise dot org or just click the green button on our home page. [00:26:36] Parents Are Hard To Raise is the CounterThink Media production. The music used in this broadcast was managed by Cosmo Music New York, New York. Our New York producer is Joshua Green. Our broadcast engineer is Well Gambino. And from our London studios the melodic voice of our announcer, “Miss Dolly D”. [00:26:54] And I have one more favor to ask of you… If you like the show please give it a five star rating. That will help other people find our show. [00:27:02] Thank you so much for listening. [00:27:04] Till next time… May you forget everything you don’t want to remember and remember everything you don’t want to forget. [00:27:11] Remember to join us next week at the Howell senior citizens center. [00:27:15] See you again next week!